Sempre que programei minhas férias, tento escolher lugares que não só tenham um visual bonito, mas que também tenham um história pra contar sobre o seu povo e suas tradições! 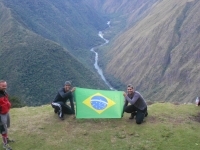 E quando decidi fazer a inca trail, não fazia ideia de o quanto eu iria me surpriender positivamente! 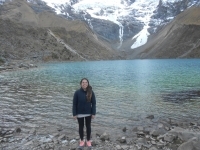 Quando comecei a pesquisar sobre a inca trail não tinha noção de como seria essa experiência, e posso dizer que foi algo que lembrarei por toda minha vida. O simples fato de entrar em contato com a natureza e se desprender do mundo atual ja vale todo o esforço. 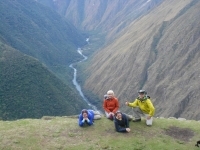 I thank Inca Trail Reservations for this fantastic experience. I never been at 4200 meters in my life. The staff was very kind. 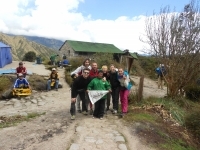 The guide Raul speak English fluently, he was always very amazing, ready to help you and culturally prepared. 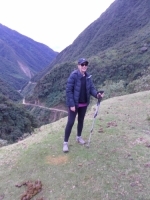 If you go to Peru you must do this trip: the Inca Trail. Great tour, well organised, great service during the booking, reply to email in real time and information precise. 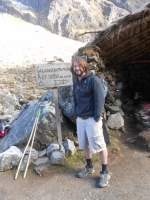 A well prepared tour guide, always available during hiking and visiting and able to solve any problem. Wspaniale doswiadczenie! Polecam z calego serca. 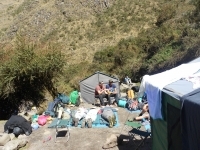 Podrozowalismhy z Inca Trail Reservations. Mam tylko pozytywne komentarze. Serwis bardzo profesjonaly, poczawszy od agencji przez cala ekipe ktora nam towarzyszyla na szlaku (przewodnicy itragarze ) iskonczywszy na kucharzu. Mielismy okazje jesc w dobrych restauracjach w Cuzco ale to co jedlismy na szlaku to przekroczylo wszystkie nasze oczekiwania. Po prostu cos pysznego! It was an exciting and beautiful experience. 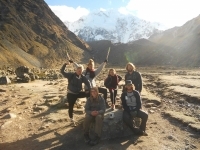 The guides are very prepared and available for every question or any of our problems. The food was very good and offers a great choice every time at breakfast, lunch and dinner. 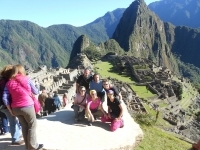 We had a fantastic time on our trip to Machu Picchu. It was a trek we will remember forever. The hike was great with a few small hiccups along the way. 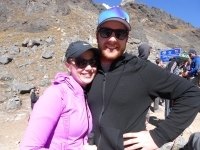 If some of our suggestions after our hike are taken into consideration this trek will only get better and better. 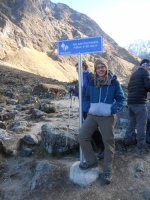 I will never forget our Salkantay trek! 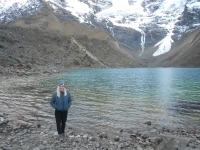 The nature I saw was indescribable with huge mountains, deep valleys and white glaciers. One day it was winter with snow and the next day summer with full sun. Our guide, Victor, was amazing and very positive during the whole trip! 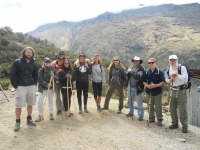 After departing Cusco nice and early, we spent the first day on a nice walk through to our first campsite. A beautiful lake was there. 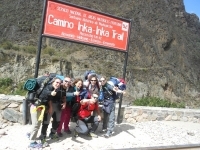 The 2nd day to the summit was extremely tough but our guide Victor was fantastic in guiding us through.